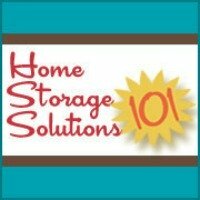 Do you need more places to sit or put up your feet in your living room, bedroom, or other rooms in your home, and also need to get a place to store clutter? If so, this product may be just for you. The reason people love ottoman storage products is because they have so many uses, which means you get more value for your money with them. First, like with all ottomans, you can sit on it (please note there is a weight limit of 150 pounds), or rest your feet on it. In addition, this cube is great for storing lots of items. You can store an extra quilt for when its cold, or all the video game stuff that accumulates all over the living room, or magazines for some relaxing reading. In addition, you can store some craft supplies in it for some work in the evenings, while sitting on the couch. Your imagination is the limit for what you can store in there, and of course what it will fit! Many people like the cube because it is big, but not too big. 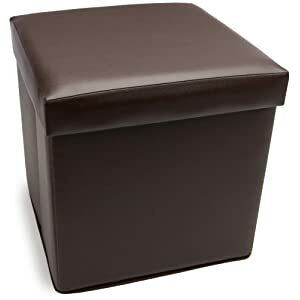 Depending, however, on what you want to store in it you may want to consider other options for larger storage ottomans, to make sure whatever size you choose fits your needs.